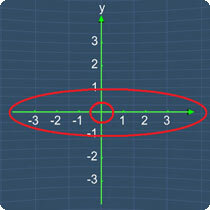 From the picture below, the circled parts above are clearly the x-axis & origin. If you want to know more about the Coordinate plane, click here to watch the full video lesson. © MathExpression.com. All Rights Reserved.